The Masters, The Open, The US Open, The Ryder Cup. These are all iconic tournaments and weekends on the annual golfing calendar that not only golf fanatics but most general sport fans will tune in to view. It is on these playing fields where we can see the top golfers in the world compete against each other for the most sought after prize in golf, to be number one. It is a prize that only few ever achieve and though skill, patience and mental strength will help towards the goal of winning, equipent plays a huge role too. This is not limited to bags, clubs, balls and tees. Wearing stylish, functional and comfortable golf attire can make all the difference when it comes to outperforming others on the fairways and greens. 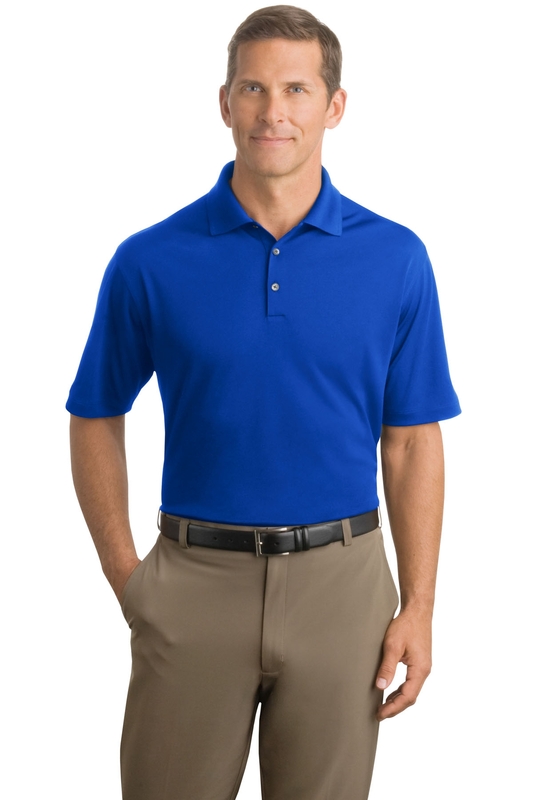 This polo weighs 4.4 ounces and is made from 100% polyester. The contrast Swoosh design trademark is embroidered on the left sleeve. The design features a flat knit collar, which brings a traditional thread to this revoloutionary, game-changing polo shirt. It mixes the old with the new. This stylish and functional polo shirt features a three button placket and the sleeves are open hem. This sleeve design is great for the golf course as it allows air to move around your body, keeping you cool during those warm weather rounds. Keep up with the pace of play by wearing the correct attire and play better than ever. What is unique about this polo is how you can stay so cool when things begin to heat up. This polo has the appropriate amount of air space and it grants you the tools to have a successful and enjoyable round of golf. Adult sizes range from XS-4XL, accommodating all body sizes and types. The Nike Golf – Dri-FIT Micro Pique Polo comes in a wide variety of colour choices, including: Anthracite, Black, Blue Sapphire, Cornsilk, Fusion Pink, Lawn, Mean Green, Navy, Night Purple, Team Green, Team Orange, Team Red, Tidal Blue, Trails End Brown, Valor Blue, Varsity Red and White. So, if you want to golf like the best while looking your best then you shoud consider the Nike Dri-FIT polo shirt. Having the best equipment extends beyond what’s in your golf bag, the shirt on your back can have just as big an impact on how you play your round.